Treat UTIs with no downtime through a series of three brief 5-minute treatment sessions. Urinary tract infections (UTIs) are one of the leading causes of painful urination and are a common problem for women today. vConfidence has the solution with non-invasive, no downtime procedures designed to treat UTIs. If you’re a woman, the odds of you getting a UTI at some point is extremely high; some estimate as high as 50 percent. When bacteria from the large intestine invades the urethra (which transports urine from the bladder to the outside of the body) the problems can travel up to the bladder, and even up to the kidneys. HOW DO WE TREAT URINARY TRACT INFECTIONS? The feeling of pain, burning or discomfort upon urination, known as dysuria, frequently indicates the presence of a UTI, but it can have a variety of causes, which is why it’s important to visit a healthcare professional for an evaluation and diagnosis. vConfidence Certified Doctors treat the underlying causes of a UTI to help reduce regular occurrences. During the procedure, a small probe delivers tightly controlled energy into the vaginal control. Painlessly, at the point of contact, the laser dot removes a tiny area of tissue, creating a pinhole around the diameter of a human hair. As the body repairs itself, it stimulates cells to create healthy tissues at the site of the dot and the area immediately surrounding it. This promotes and stimulates the regeneration of collagen fibers and restores hydration and elasticity within the vaginal mucosa. This process of vaginal rejuvenation attacks vaginal atrophy and UTIs, the underlying cause of dysuria in most cases. Through the full course of your treatment, the body’s reinvigorated ability to maintain the collagen content of the vaginal epithelium will help to maintain its thickness and elasticity, triggering optimal genital blood flow and production of mucopolysaccharides and hyaluronic acid, which keep vaginal mucosa moist and healthy. HOW MANY URINARY TRACT INFECTION TREATMENTS ARE REQUIRED? The procedure requires three treatments over a 1-week period. Your treatments will take less than 10 minutes to complete. HOW MUCH DOES URINARY TRACT INFECTION TREATMENT COST? UTI treatment with vConfidence is surprisingly affordable. Your treatment costs will vary based on your specific needs, so set up your complimentary consultation today. 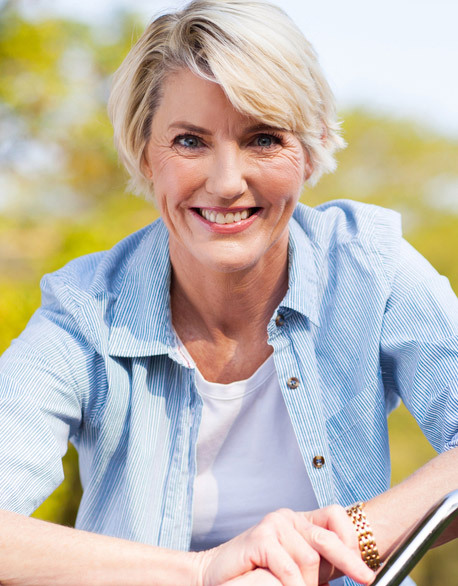 During your consultation, your vConfidence Certified Doctor will discuss the range of vaginal rejuvenation treatment options available to you and answer any questions you may have. Together, you can form a strategic treatment plan that meets your needs, desires, goals and budget. vConfidence also offers convenient financing options so that every woman is empowered to enjoy her life. DOES URINARY TRACT INFECTION TREATMENT REQUIRE DOWNTIME? With vConfidence, you can treat a UTI with no downtime through a series of three brief visits. Each treatment session lasts 5 minutes and requires no needles, no surgery, and no anesthesia. WHAT ARE THE RESULTS OF URINARY TRACT INFECTION TREATMENT? By proactively addressing issues of vaginal health with vConfidence, you can be assured that you are taking the right steps to get the results you need for a better quality of life. For many vaginal health issues, almost immediate improvement is evident after just one treatment, and the issue is ultimately resolved following a full course of treatments. Once you’ve gotten the relief from dysuria that you deserve, you’ll be able to fully enjoy your daily life in a way that just isn’t possible when those problems are left untreated. HOW DOES URINARY TRACT INFECTION TREATMENT FEEL? Your vConfidence Certified Doctor will make certain that you are comfortable prior to your vaginal rejuvenation treatment. Most patients report experiencing little or no pain. Before Treatment: Your vConfidence Certified Doctor fully prepare you for the procedure that ideally suites your needs. They will answer all of your questions and provide you with detailed pre-procedure instructions. After Treatment: Your treatment plan will determine the specific instructions your provider will give you. Most patients are able to resume their regular activities immediately following their vConfidence procedure. Your vConfidence Certified Doctor will answer any questions you may have about the procedure, your recovery and what kind of results you can expect. If you want to enjoy life again, now you can with relief from urinary tract infections. Resume a normal, active life with vConfidence’s help. We address all of your concerns and painful symptoms effectively and safely. Contact a vConfidence expert in your area to set up a consultation.